Discount Vegas Robaina Cigars cigars store have the lowest online prices on cheap cigar. This mark is the namesake of the land property (Cuchillas de Barbacoa) of one of the best Cuban tobacco growers, Don Alejandro Robaina, who comes from a tobacco family which settled by mid last century in the tobacco growing region of San Luis, the area of the best tobacco farms in the Vuelta Abajo. 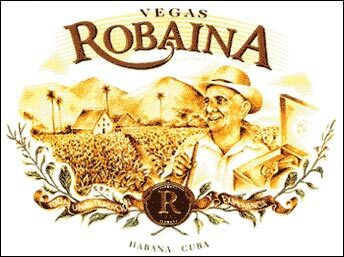 Manufactured at H. Upmann factory by the most expert hand rollers, Vegas Robaina Habanos have been specially made for an elite of consumers fond of the natural: cigar-smoking connoisseurs, capable of discriminating the quality and properties of Habanos. This brand has been ranked as a product de luxe, located at the higher section of the pyramid of Habanos. Careful selection of its leaves and special quality of its wrapper make this brand one of the most outstanding contributions of Cuban industry to the present upward trend of tobacco business.